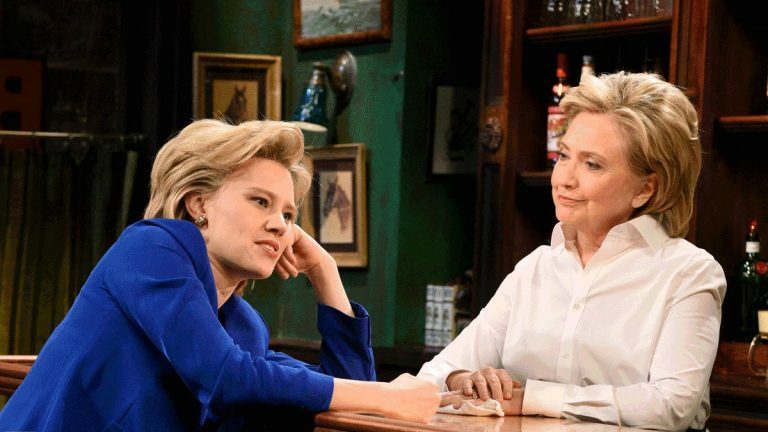 In a scene from a recent episode of 'Saturday Night Live,' the real Hilary Clinton (right) plays a bartender who listens to actor Kate McKinnon's (playing candidate Hillary Clinton) concerns about the presidential race. The joke was on herself, of course, referring to the much-criticized private email account she used as Secretary of State. Since the dawn of the television era, our most skilled politicians have deflected attacks by making wisecracks at their own expense. But self-deprecating humor is in short supply on the 2016 campaign trail, where the candidates have mostly fired their one-liners at one another. 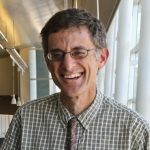 A typical example: citing recent news reports about cyber-attacks, Scott Walker — who has since quit the race for the Republican nomination — said that Russia and China now know more about Clinton’s email server than do members of the U.S. Congress. For both parties, of course, the easiest target is Donald Trump. “Finally, a candidate whose hair gets more attention than mine,” Clinton jibed. After Trump visited Iowa in his private helicopter, Bernie Sanders joked that he had left his own chopper at home. These kinds of quips might draw a few chuckles from from a campaign crowd, but they won’t humanize candidates — or disarm their opposition. To do that, you need to poke fun at yourself. Consider the master of the genre, John F. Kennedy. When he ran for president in 1960, JFK faced three big negatives: his family wealth, his Catholic religion, and his youth. So he made jokes about all three, which defused them better than any other retort could. Reagan’s staff had obviously anticipated the question and had prepared a snappy reply, courtesy of the jokewriters who were paid to sprinkle levity into his speeches and press conferences. That practice also went back to Kennedy, who hired several humorists for his 1960 campaign. Ditto for Richard Nixon, who was simply too uncomfortable in his own skin to make jokes at his own expense. Like LBJ, Nixon displayed a sardonic wit when sparring with the press. But he could never affect the happy-go-lucky humor that Americans appreciate, as his own staff realized. Gerald Ford brought a bit more humor to the White House, even doing a gag at a journalists’ dinner about his alleged clumsiness. But Jimmy Carter was all business, often rejecting jokes that his staff inserted in his speeches. “If the American people wanted Bob Hope for their president, they should have elected him,” Carter snapped. We do want someone who can laugh at himself or herself, however. And since Reagan, that’s been hard to come by. The two Bush presidents? Too awkward. Bill Clinton and Barack Obama? Too cerebral. Otherwise, though, it’s slim pickings for self-deprecating humor in 2016. Hillary’s joke about her email was the exception that proves the rule. Get ready for candidates to lob barbs at each other, not at themselves. It won’t be pretty. And it probably won’t be very funny, either.